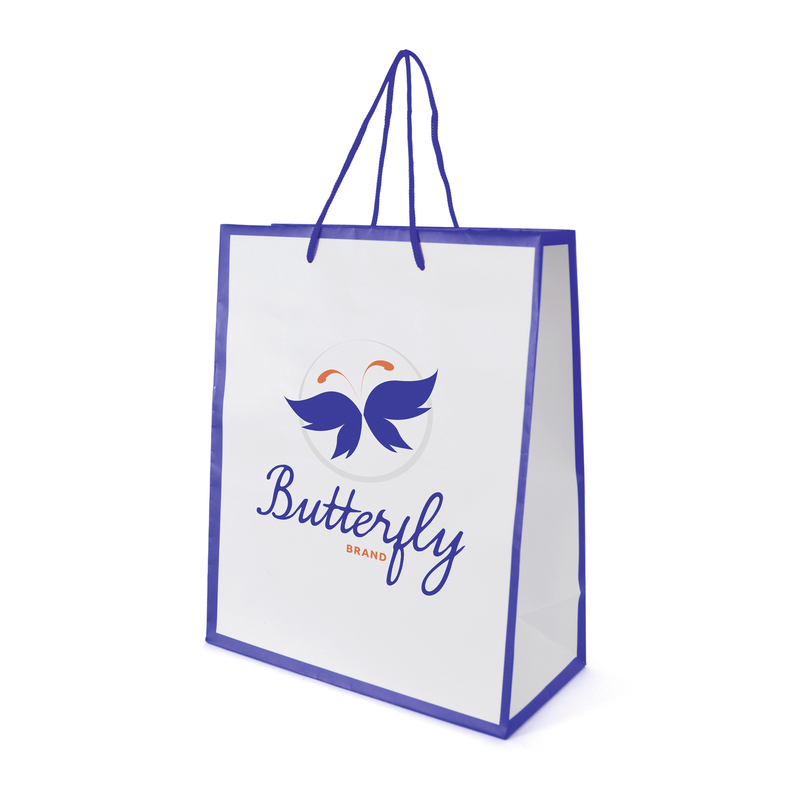 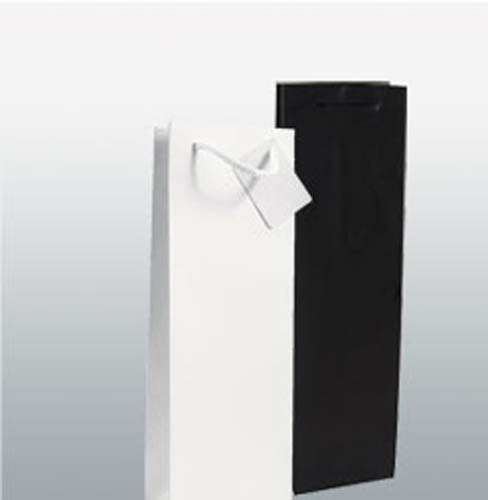 Paper gift bag with gloss lamination. Available in white with 3 colour trim options available - Red, Blue and Black. 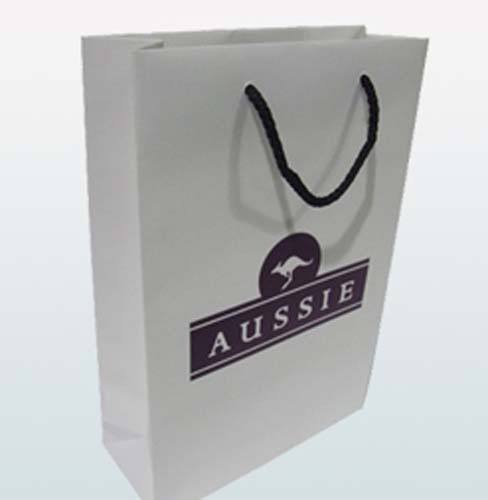 A stocked paper product, that can be delivered with your company logo quickly. 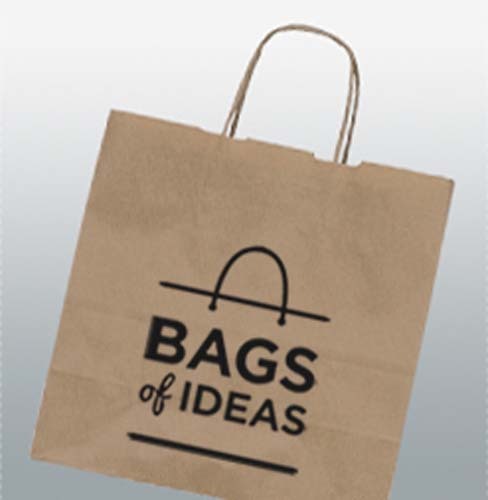 Ideal for conferences and exhibitions. Made from 157gsm laminated paper.